The badge of honour. You need not be a mathematician to navigate by the Sun, Moon, Stars and planets. Master the sextant. Learn to enter the nautical almanac and the sight reduction tables and you will be a good navigator able to navigate anywhere in the world and under any condition. Requirement: SA Sailing Yachtsmaster Offshore. The course is taught to SA Sailing’s syllabus. It is internationally accepted. A certificate of competence and a log book is issued on completion. Please deposit R1000 into Good Hope Sailing Academy. Current account No. 1371410011. ABSA Bank, Adderley Street, code 312-109. 1) Your name 2) The amount 3) The course you wish to do 4) The date. Designed as an add-on for students who have recently completed our Coastal Skipper course. The SAS Yachtmaster Offshore chartwork exam includes questions from the Day Skipper syllabus and the Coastal Skipper syllabus. Sail on a Fast 42″ for 6 days on the open ocean and discover a new world of blue water sailing. You will return with 900 nm in your logbook and a true understanding of the sea and sailing. Did you know that we customise full time Day Skipper and Coastal Courses to suit your time schedule? The course can be done on your yacht or ours. 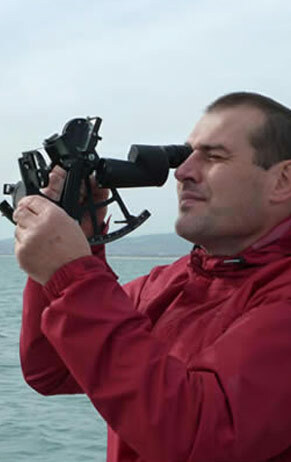 A comprehensive manual on Celestial navigation, which will teach you how to use the sextant.